Note from Sara: Hi guys! I am so excited because today we’re launching a new series called Rising Stars on The Remix blog where we explore trends we’re predicting will pop in the next few days, months and years. Recently, in the office, the team and I have found ourselves ooohing and aaahing over the freshness of white oak kitchens. They feel so modern and warm. So I’ve tapped Mackenzie to dive down the white oak rabbit hole and share more about the beautiful trend with you. Enjoy! When designing a kitchen remodel, there are the obvious things to think about – countertops, backsplash tile, cabinet hardware, etc. And while those are all very important aspects of the design, the real pièce de résistance is the cabinetry. It’s not only essential for storage and functionality, but it’s usually the largest factor (and expense!) in any kitchen and can make or break the overall design. 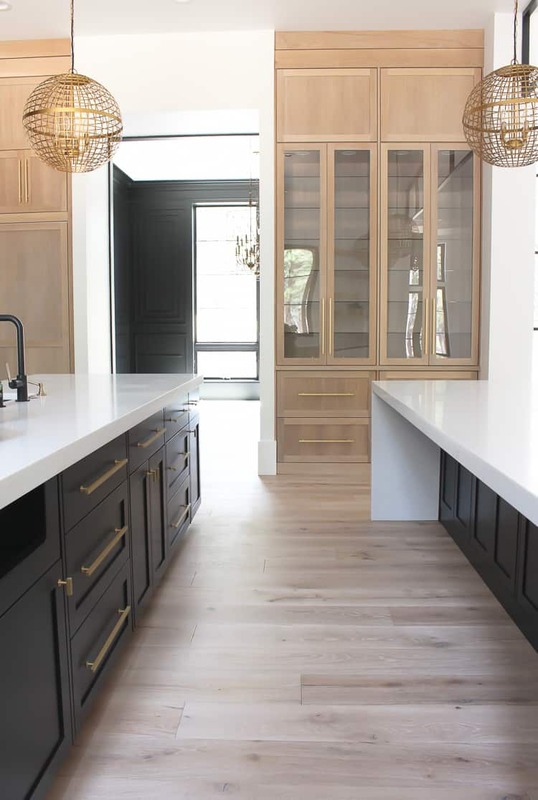 One kitchen trend we’re seeing more and more of –and absolutely loving– is a simple, minimalistic look with wood, specifically white oak, utilized in it’s most natural form. By focusing on the quality of the materials being used and showcasing true workmanship, you’ll not only have a stunning, modern space, but you’ll also have one for many years to come. This is a take on a not-so-new trend for other living areas in the home – a casual, easy and relaxed look – nothing overly “done”. We always like to incorporate vintage items or pieces that look like they have been in that same spot for years, if not forever. And there’s no reason that same feeling can’t be brought through into the kitchen. What we truly love about white oak in the kitchen is it’s neutral, full of depth and dimension and it also creates a soft sense of luxury that really can’t be matched. 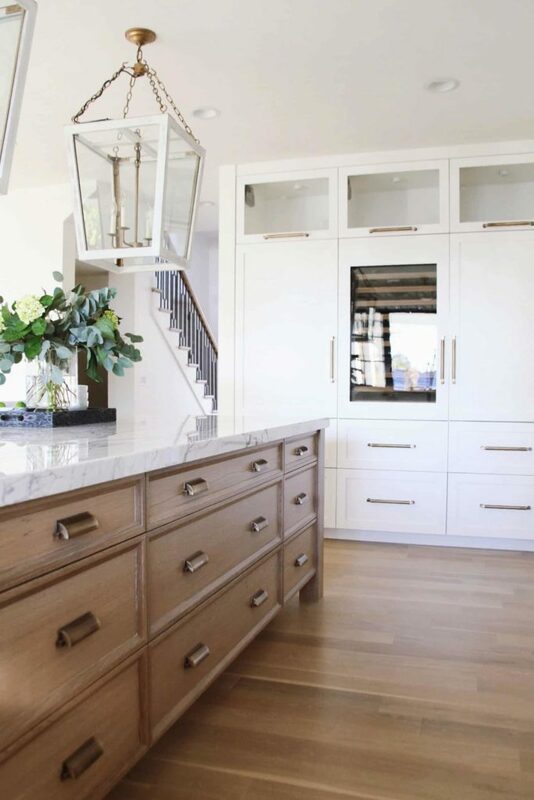 Plus, the design possibilities are truly endless – whether your taste is ultra-modern or leans more towards traditional, white oak cabinets can go in any direction you take them. 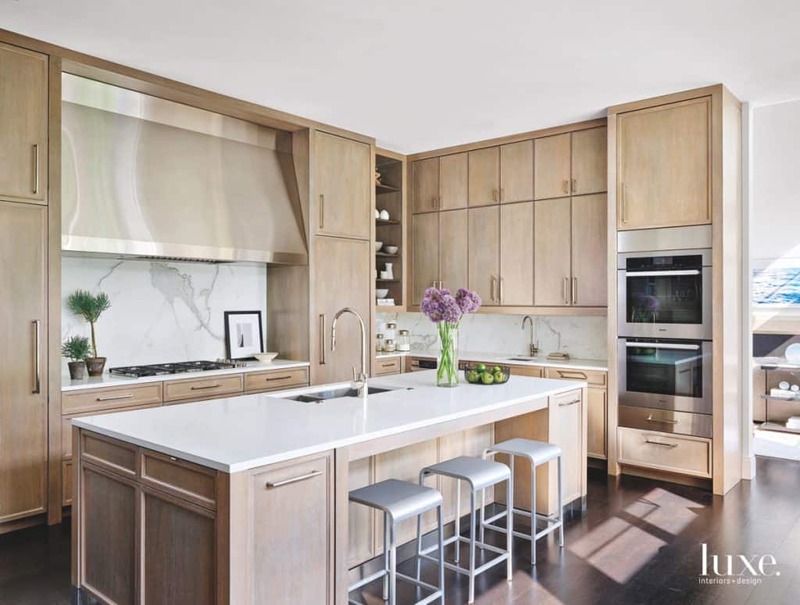 Wood cabinetry used to be a thing of the past, but we love that it’s coming back in style. To bring your look to the current era – contemporary, rustic, whatever style your heart desires – go with rift-sawn cuts of white oak. Rift cuts have a more linear grain rather than the “cathedral” or “heartbeat” grain seen on wood cabinets from the past. And since we’re letting the natural finish shine through here, the look of the grain is so important. 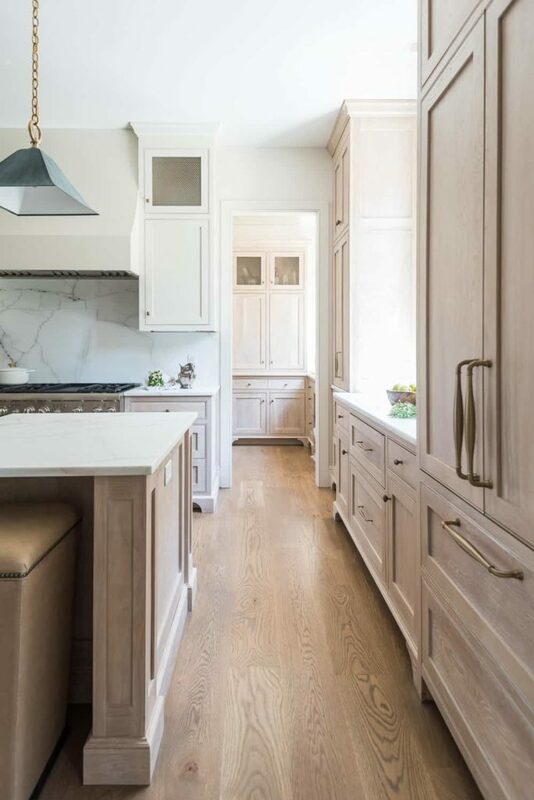 If you decide to go with white oak cabinetry in your next kitchen remodel, we think the best part about this selection is that you really don’t need much else. Keep it simple, the wood is the star of the show. For a wow factor, pair the cabinetry with white Calacatta marble countertops, or for more functionality, a white Quartzite. Try bringing your countertop up the wall. White oak just complements the natural stone look beautifully. But you really can’t go wrong with a simple elongated subway tile. 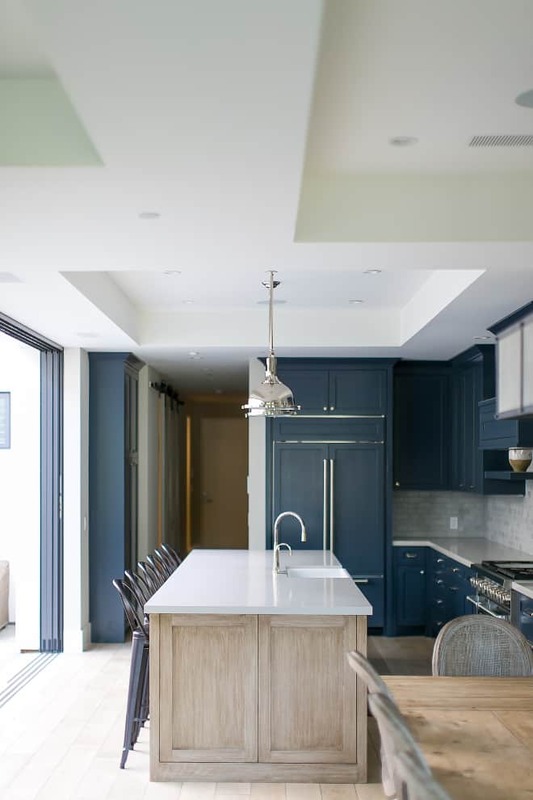 We love to top it all off with matte black or brushed brass cabinet hardware & lighting. For a twist, polished chrome is an unexpected mix between the softness of the white oak and “shiny and new” silver finish. They say the kitchen is the heart of the home, and white oak cabinetry adds instant warmth that will definitely have you wanting to spend more time in the kitchen than any other room. Still curious about white oak? Contact us to learn more.